Writing an action film or even a comedy or mystery with action scenes? In this webinar you will learn techniques to make your action scenes more exciting and character oriented. Discover how to make your scenes as exciting to read as the film will be. Action scenes have been a staple of almost every genre in cinema since the first fiction film, and more important than ever in today’s cinema. But how much should you describe and how do you keep it interesting and emotionally engaging? How do you write an action scene that leaps off the page? This webinar will look at techniques like reversals, finding character and story related scenes, high concept and unique scenes, using suspense, action stacking and other techniques when constructing your scenes. How to write an emotionally charged scene that will get the reader’s juices flowing! Until your screenplay is made into a film, that script is the film and needs to provide all of the excitement found in the film. If it ain’t on the page, it’s never going to be on the stage! This webinar will show you how to get those scenes on the page. 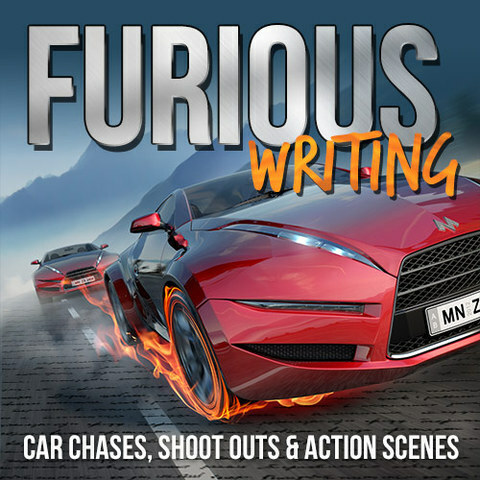 William C. Martell has written 19 produced films for HBO and Showtime and others, most in the action genre; and can show you how to take a bland action scene and turn it into something that will get the reader’s hearts racing, and those pages turning. Why you can’t just write: “They fight”. How to find Unique and High Concept action scenes. Making your action scenes both character and story oriented. White space, paragraphs, action stacking. The importance of alternating types of action scenes. What to do if it’s all one kind of action (car chase movies like FURIOUS 7 or martial arts movies or war stories with a series of battle scenes). Using location to improve action scenes. Intelligent action scenes vs. the other kind. Realistic action scenes vs. fantastic action scenes. 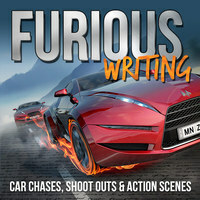 How to write action scenes in comedies and other genres. Writers looking for practical techniques to spice up their action scenes. Writers gearing up to rewrite a screenplay. Writers trying to improve their scenes. Writers who want to write more exciting description. Writers preparing to write an action or thriller screenplay. Writers who are great at dialogue but need help with the other 50%. Writers planning on novelizing their screenplays. Writers working on police stories, mysteries, buddy cops, etc. Writers who wonder how much description is too much? Writers who want to create “page turner” screenplays. Writers who love genre films and explosions. Writers looking to add zing to their comedic scenes. Writers who love tools and hate rules.